"We have come across this photograph and were wondering if someone could identify any of the gentlemen pictured and date as we suspect it was taken in St Thomas's churchyard." 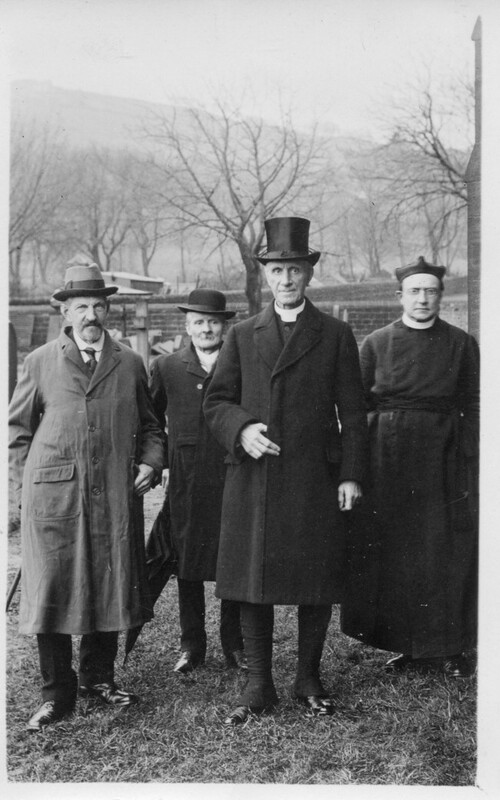 The gentleman on the left looks to be mill owner James Bairstow. If anyone can provide any details about this photograph, please add a comment to the forum or contact the webmaster.